Things are winding down over here as I prepare for the birth of my third child, but I'm happy to be able to share this recent wedding with ya'll!! It's a little cliche to say how sweet and awesome your clients are, but seriously, Chad and Elizabeth are some of the best people out there! 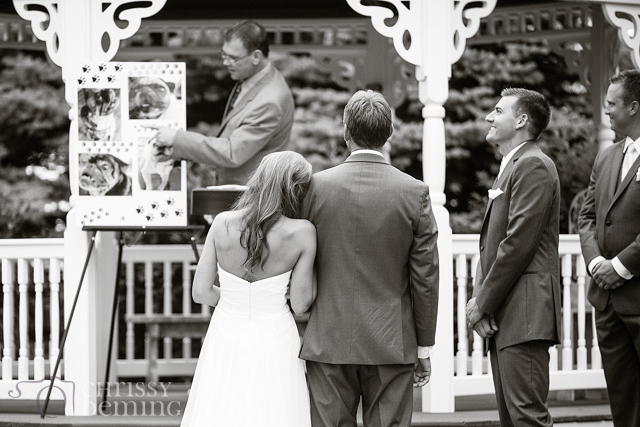 I love this moment captured by my second shooter of Chad waiting to see Elizabeth for the first time. Such sweet, nervous anticipation! The mosquitoes before the ceremony were INSANE. And thanks to Photoshop you'll never see them or the red splotches they left all over C&E. These two were incredible the whole time. I just can't resist a beautiful field of summer wildflowers! The ceremony and reception were at Chapel in the Pines. Such a cute little place! One of my favorite things to photograph at a wedding is the moment the bride and groom walk away from their guests after the recessional. The moment that they're like, "What the WHAT?!?! We're MARRIED!?!?" 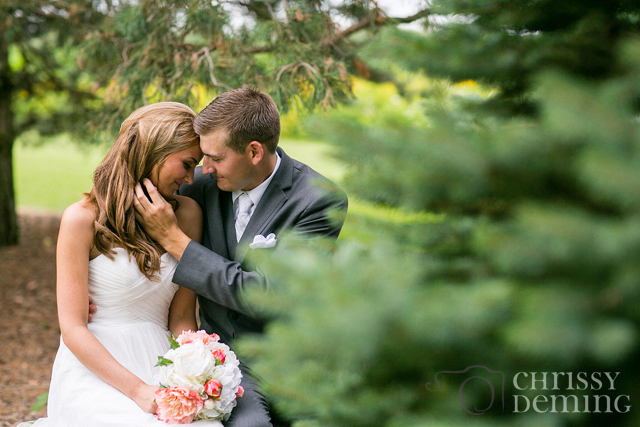 Thank you so much, Chad and Elizabeth, for being so wonderful during your day! It was hot and buggy, but you guys rocked EVERYTHING!! Also, huge, HUGE thanks to the wonderful Gisselle for helping me out with this wedding!! 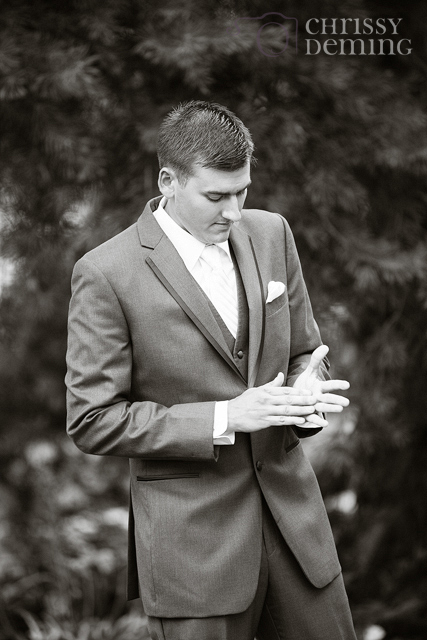 Chad: Watching Elizabeth walk down the aisle, almost a surreal feeling. 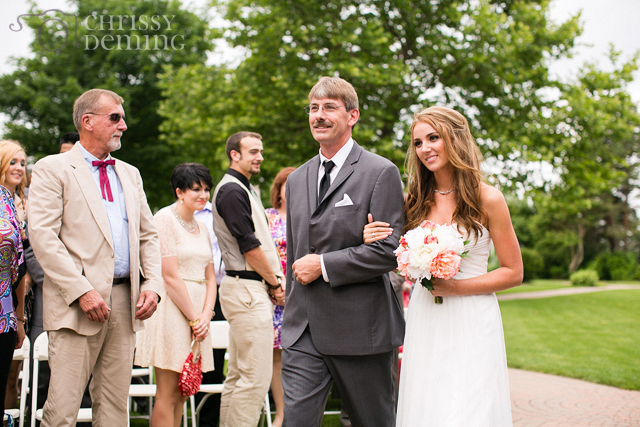 Elizabeth: Seeing Chad for the first time during the first look photos...it eased ALL my nerves. Chad: Not one thing, it went so smoothly. Elizabeth: Nothing! It was perfect. Chad: Plan ahead, reserve as soon as you can, make a budget, work TOGETHER.Elizabeth: Do things your way...take advice but do not let it dictate your decisions. Do not stress the little things. Chad: To be determined...somewhere warm, maybe a few long weekend vacations throughout the winter. 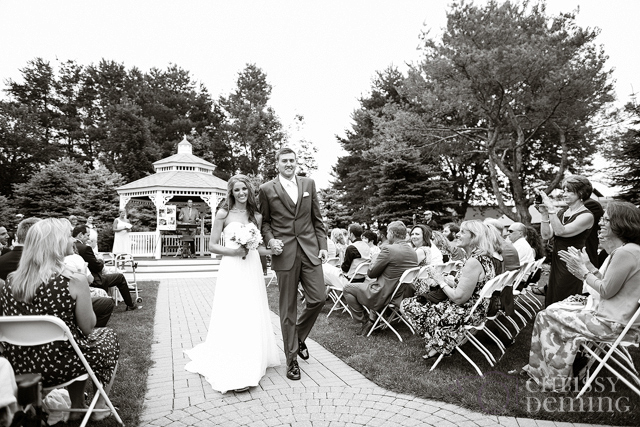 Chad: It was perfect, thankful for all the help and services, glad we did it our way. Elizabeth: I cannot believe how perfect it was. What a blessing it was to share our day with our loved ones!